Thanks for visiting me today! Patty here…”Just stampin’ in my flops!” People think I’m crazy because I wear flip flops all year round! I don’t care what the calendar says, I don’t care the solstice, I just care about having my feet being free and comfy!!! For those that know me well, you know that I am an eternal summer girl! My idea of a retirement home is a beach where I can live under a palm tree and have a place to keep my flip flops when my toes are in the sand! Today I am sharing a project that I created using the Million Dollar set designed by Connie H.! When I saw this set, of course, the first think I saw was the Palm Trees!! Would you like to see the step by step on this project? Would you like to know which pieces of this stamp set created this beauty?! Then look no further! 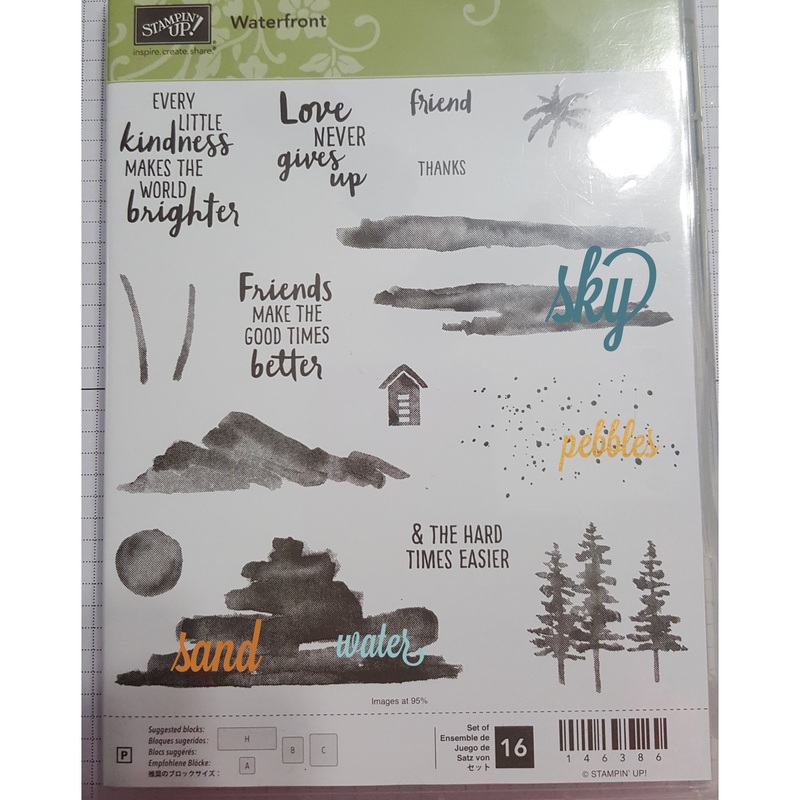 The water was created using Pool Party ink and the image below that says water over the top of it. The sand or beach was created with the same image just rotated 180 degrees and stamped in crumb cake ink. The pebbles or texture added to the beach was also done with crumb cake ink. 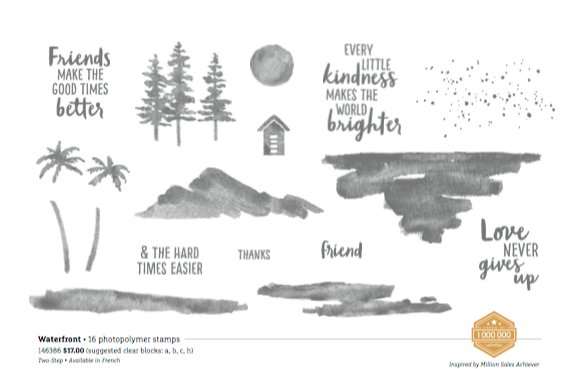 I stamped the sky with the image shown below and used the marina mist ink for the sky. The sun was done with the circular piece stamped in full strength in daffodil delight and slightly rolled the edge in tangerine tango to give a bit of sunset look! Be sure to come back to my site so that you can see the other pieces I created with this fabulous stamp set!! !